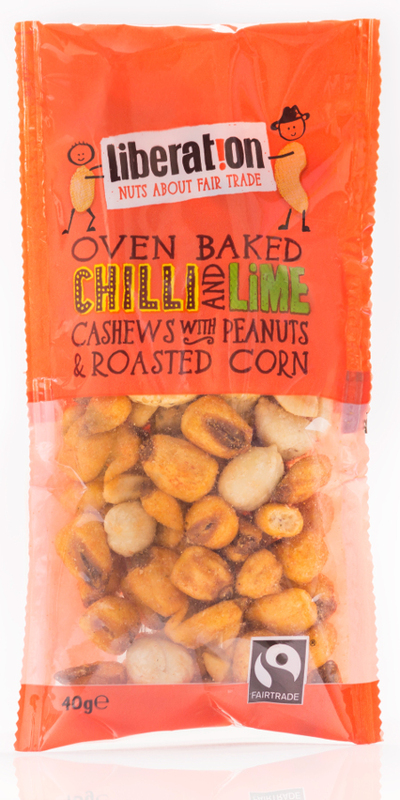 Finished with a spicy blend of salt, chilli and lime, these gorgeous Fairtrade oven baked peanuts, cashews and roasted corn will be polished off in no time. The Liberation Fairtrade Chilli & Lime Cashew Nuts with Peanuts and Roasted Corn - 40g product ethics are indicated below. To learn more about these product ethics and to see related products, follow the links below. Stocking filler.Good sized nuts,well coated in seasoning. I really like them, but can only buy them for the tuckshop when they're discounted or I have a large money-off voucher I can use to offset their cost. I can't sell anything that costs over a Â£1 in the tuckshop. These were fantastic and I ate them all at once. I love the corn ones. I am definitely going to buy these again. There are currently no questions to display about Liberation Fairtrade Chilli & Lime Cashew Nuts with Peanuts and Roasted Corn - 40g. Farmer-owned Fair Trade nut company, Liberation has a vision of ‘a world in which smallholder farmers can enjoy secure and sustainable livelihoods and plan for the future’. The mission is to bring nut producers and consumers of the world together so that everyone gets a better deal. Liberation’s majority shareholders are co-operatives of small-scale nut producers from Bolivia, El Salvador, India, Malawi and Nicaragua – they got together in 2007 to create Liberation to bring their lovingly grown produce to the Fairtrade market. 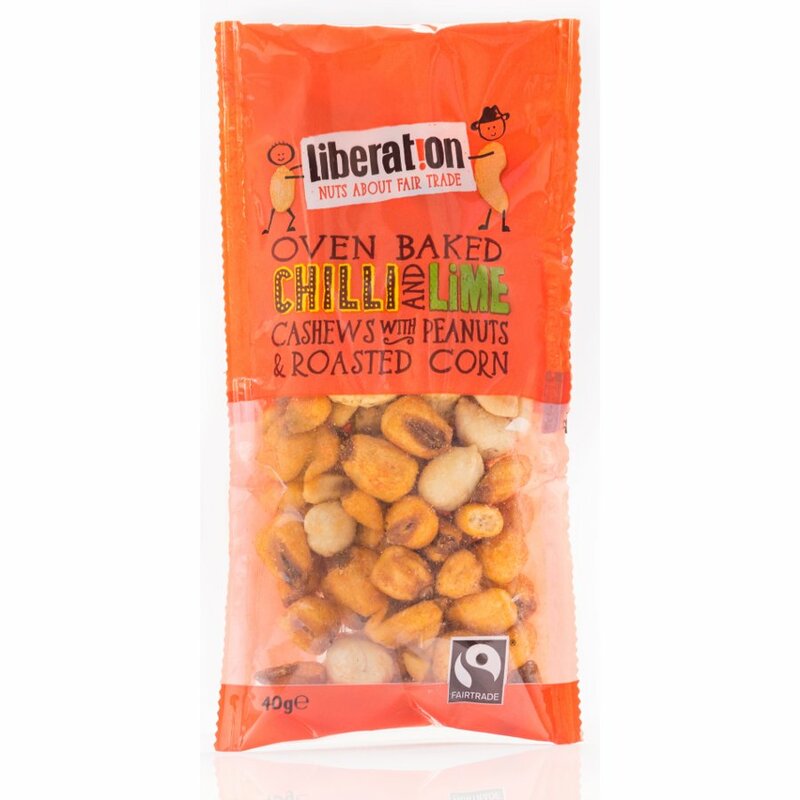 Liberation nuts are oven-baked, carefully seasoned and suitable for vegans – liberate your tastebuds today!